Looking for a garage to fix your Air Conditioning Re-gas in Manchester? Save money: Instantly compare Air Conditioning Re-gas prices in Manchester to find the best deal. Quick and easy: Simply enter the registration number of your car and your post code, compare prices, choose a local garage in Manchester and book your Air Conditioning Re-gas. "One of our company cars needed an MOT urgently (we’d completely forgotten), so we booked via BookMyGarage for the same day. All the staff were helpful and fully explained everything upon collection and delivery." "Prompt pick up, kept in the loop regards repairs ....staff friendly and helpful. Overall very happy with the service and Iwill use them again "
"Customer service was great, and very professional." "Great work, kept me informed and honest workmanship! 5* for the guys and the owner who kept me informed. Thank you very much!" "Good communication, happy with the service. 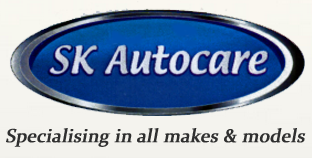 Will return"
"couldn't be happier with this garage fast reliable work"
"Great helpful garage, only do what's required. Fully recommended"
The up-side for visitors is that Manchester is a fast paced, exciting, thriving city that never sleeps; the down side for drivers is that it is the 12th most congested city in Europe. Mancunians work hard and play hard. The old Industrial Revolution symbol of the worker bee, which still adorns the mosaic floors of the Town Hall, seems as appropriate now as it was during Manchester’s industrial heyday.